Fashion, Gadgets, Design, Art, Toys, Tunes, Books, Accessories, Autos, Lux, Fresh to Def Things, Exhibition of Flyness! Now back from 1997 -2000 my friend Papi aka Noreaga recorded tons of footage and we interviewed all types of people. Enjoy this classic moment. Peep the Juelz moment, this when Cam was shopping him. What Up people, I'm a keep short on here. Sorry for the neglect for the year. What have I been doing that made me neglct you all, well it has been this talented kid named A$AP Rocky. I been working with him and A$AP Mob. Management isn't easy, however I am back, so enjoy your day and make everyday in life count. This post was actually a reference or rather an idea done by me and Max B. Right after Puff recorded this song for Jim Jones "What You Sipping" I decided to give the homie Max a shot. Puff and I actually liked Max B, I wish I could have signed him. That's whole other story. However what I will say is the beat was originally for Puff for the Biggie Duets, actually was supposed to be a single. Then Cool and Dre,weeks after having the beat, their manager at time said she sold the beat to LA Reid. Fast forward it was a single for Christina Milian. Well this song is for the Max B fans and for my homie A$AP Yams! 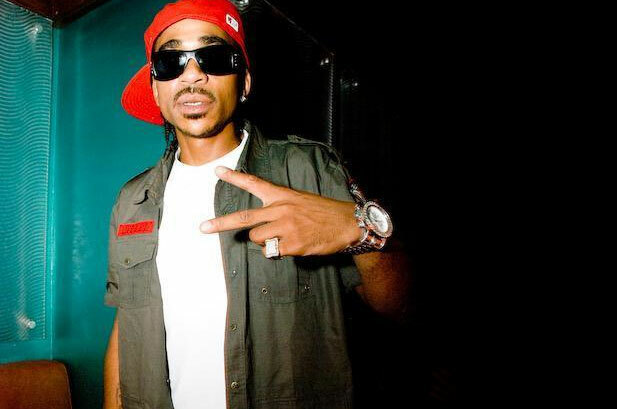 Max B aka Mr Prolific keep your head to the sky (Pause). Boy nothing will ever replace these buildings. Although The World Trade Center was just two buildings I shared many moments there. Me and my boy got our "skypagers" there, and I even bought a diamond ring from a jewelry store in the plaza. The day of 9/11 I was supposed to go to John Meneilly office to get a commission check from a LES track I placed. I remember going there as a kid with my boy Manfredi, and man the view let me know the world can be mine, and there was more to life than Harlem in NY. The Twin Towers were a staple for NYC and a depending on a flight home was Peace Sign. This short pays homage. RIP to those who were lost. Let's live for them, and remember it's about living because you never know when life may stop. Big up to the Big Homie Steve Jobs, this is far the best tribute. I don't know if this was a crowdsourcing production, but great job! This speaks for itself, straight comedy! Well, as I was going through some my iTunes on one of my computers this starting playing. Another song by the lovely Keyshia Cole. I actually remember this session....all I can say is it started with beat cds, and a bottle of Patron. While waiting for Diddy I believe to get to session, Keyshia asked if I had any beats, I believe she wanted to start working on a mixtape. Keyshia work ethic is impeccable. That girl like to write and sing, her tenacity for creating tunes I think even surpass most rappers. Keyshia definitely did her thing, not to mention drank me under a table with that Patron. Props to sis cause I woke up, and she was done. Although this is a rough I like it a lot especially being it's over a Gangstarr classic. I am not sure who did the beat, this was awhile ago, blame it on the Patron. In The words of Lord Finesse, this is "Strictly for the ladies". Remember folks, I told you about this early! Here's a freestyle ironically to a Havoc Beat I picked for Diddy for Press Play. Storm and Havoc What Up! My Boy ASAP Ferg also design and make leather belts and bracelets. BLOGS I CHECKOUT AND YOU SHOULD AS WELL! Harlem, Haute, A&R Extraordinaire, Great Ear, Showstopping, Impeccable, Relentless for Success, By Any Means Necessary, Suckerfree, Seizing Common Occasions and Making Them Grand, The Best Out, Always Getting My Diddybop On, Representing Harlem! 7th Avenue fed and 8th Avenue bred! Anything I aim for, I always hit the target.....anything!